GDC 2014 Round Up & Mailing List! Now that we’ve had some time to recover from GDC, it’s time for a round up! GDC 2014 came and went, passing us by all too quickly; it was an amazing experience that was unexpectedly productive. Being the first time we’ve shown off Tetropolis to the public, I’m not sure what we were expecting, but it certainly wasn’t the overwhelmingly positive reaction people had when playing our game. We came off of GDC with tons of good vibes, some extremely great feedback and a whole list of things to improve for our PAX East demo. We were so pumped up after the convention, I spent all of last week building new content to improve the experience (hence the delay in getting this up). One of the big takeaways, other than people love Tetropolis, was that people also want to be kept up to date on the game! Hearing the demands, we’ve started up a mailing list to post our NextGen Pants Newsletters to. This newsletter is intended to be an informational tool allowing us to notify people of NextGen Pants attending public events and any announcements in the development of Tetropolis (release dates, platforms, etc). It won’t be sent often, only when there is any major news; for more commonly updated news, check on this blog or follow us on Twitter. You can sign up for the newsletter here. Here’s a round-up of all the press coverage we got at GDC! Joystiq wrote up a piece about Tetropolis! Game Revolution was overwhelmingly positive. Eight and a Half Bit did a quick video interview with Bob. Cheerful Ghost wrote up a quick preview. Shoost got their hands on Tetropolis as well. Wired dropped by and took a quick video of our demo. Edge even mentioned us in their Indie Megabooth Roundup! 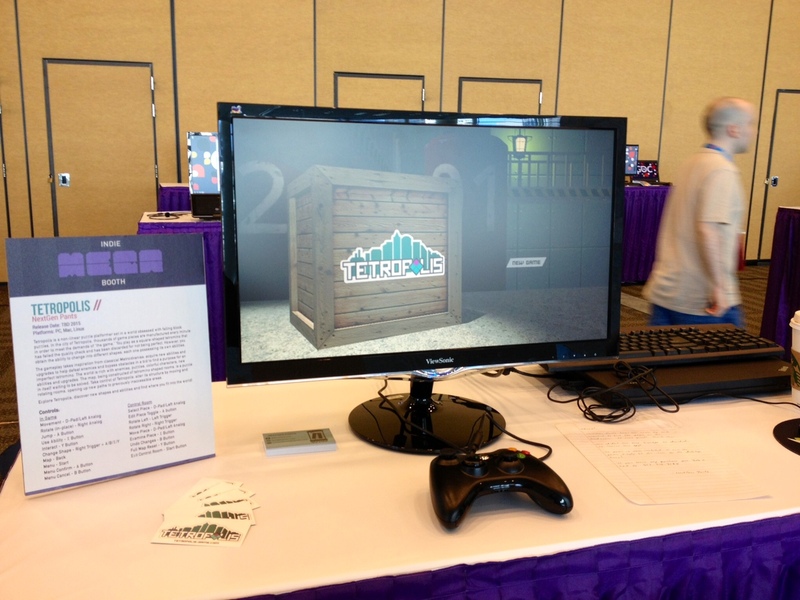 Let’s not forget that The San Francisco Chronicle talked to Joseph about the Indie MEGABOOTH. GDC was an awesome experience and I’m looking forward to seeing a few of you again (and meeting plenty of new people) at PAX East!